Higher educational leaders and significant actors from the sector took part in the 2nd dissemination event of the Digital Transform project, organized jointly by the Fondation Maison des sciences de l’homme, the International Association of Universities and the Hungarian Rectors’ Conference on 29. April 2016 at the Budapest University of Technology and Economics. After the welcome speeches of the Hungarian and the international partners in the project Jean-François Balaudé, rector of Paris-Ouest Nanterre-la Défense, spoke about their positive experiences regarding the use of the first two MOOC-s the university elaborated, then emphasized both the institutional advantages of implementing MOOC digital courses and the value of online education for the students. 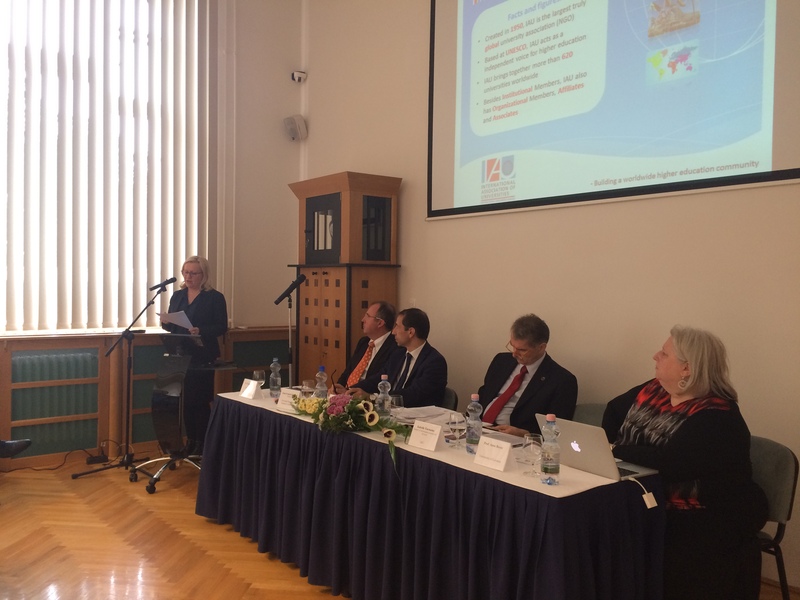 As a reflection on this, the professional discussions were started with the introduction of the Hungarian K-MOOC system, which the Hungarian higher educational sector can be proud of. Good practices were brought up regarding the use of digital contents in higher educational teaching and higher educational management. These can be considered as promising first steps, but in the meanwhile it highlights the existing challenges of digital transform throughout the higher educational sector.